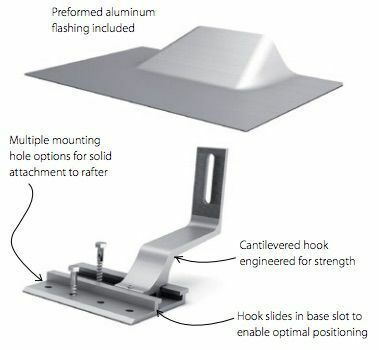 The low height side mounted quick hook is quick and easy to install. This quick hook will make mounting your solar module onto tile more waterproof, easier and stronger. Quick Mount PV leads the industry in it’s code compliance and standards. This quick hook comes with a 20-Year Warranty!